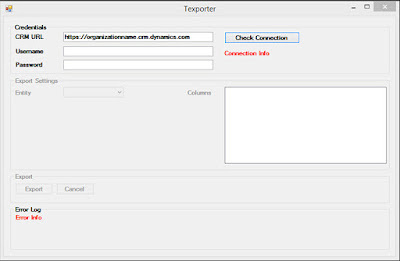 Texporter is a simple MS Dynamics CRM Data Export program. You can download your data as Excel. 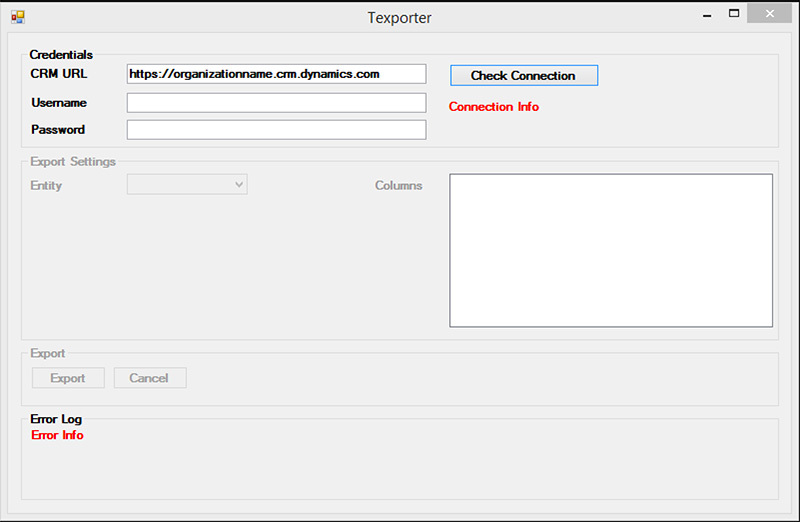 This small program works with AuthType=Office365. It requires .Net Framework 4.5 and Excel 2013 installed on your computer. 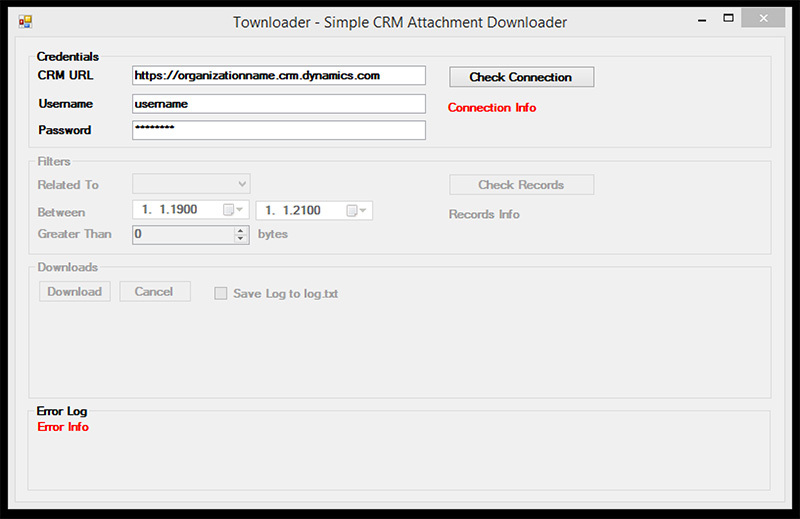 Townloader is a simple MS Dynamics CRM Attachments Downloader program. 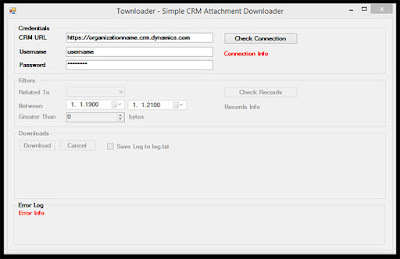 You can download your attachments from CRM depend on simple filters like file size, created on and related objects. This small program works with AuthType=Office365. You can filter downloads by related object, created on and attachment size.